Are you receiving the full financial aid you should? The process of applying for financial aid can be both time-consuming and confusing, especially for first-time college students. Learn about common errors to avoid in order to maximize your financial aid opportunities. 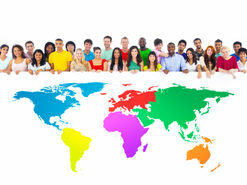 For many students, community college is the most affordable option for obtaining a higher education. The cost of tuition, fees, room, and board at a two-year institution averages a little over $8,500, while the same expenses for a four-year institution cost nearly double that at just under $17,000 per year. Yet, despite the cost savings, some community college students still need financial assistance to pay for their education. 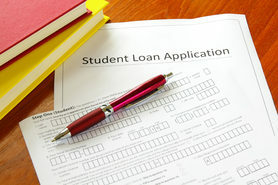 The financial aid application process can present a number of barriers, especially for first-time college students who are unfamiliar with the process. However, these barriers can easily be overcome when armed with the right information. Each year, millions of college-bound students apply for federal financial aid. Yet, millions more eligible students don’t apply at all. During the 2011-2012 academic year, an estimated 2 million students who would have qualified for a Federal Pell Grant didn’t even fill out the Free Application for Federal Student Aid (FAFSA). Even more surprisingly, approximately two-thirds of those students would have qualified for a full grant award that would have paid for all of their college expenses. Instead, for a variety of reasons these students did not bother to apply. Nearly half the students who would have qualified for the Pell Grant simply believed they were not eligible for those funds. Another 34 percent reported that they didn’t want to take on debt, even though Pell Grants do not have to be repaid. Many more maintained that they did not have a financial need, which, if they qualify for a Pell Grant, is clearly an incorrect assumption. This lack of information ends up costing community college students millions of dollars of assistance each academic year. In some cases, parents are led astray when they don’t qualify for assistance when their first child goes to college. Once a second child is ready to begin their post-secondary education, parents assume that they are still ineligible for certain assistance. It is important to note, however, that the formulas used to determine financial aid eligibility are highly complex and even the smallest of changes in one’s financial situation can change the scope of a family’s qualifications for financial aid. As a result, students should always apply for financial aid. Contrary to popular belief, there are no income restrictions on federal aid, so even the most well to do students may be eligible for assistance. Similarly, students who in the past did not qualify for a Pell Grant may become eligible if their life circumstances change. 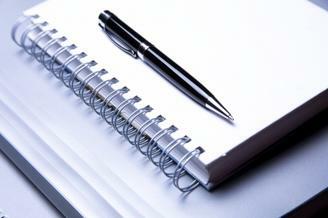 One of the most common mistakes community college students make with regard to financial aid is procrastination. The FAFSA comes online each year on January 1st, but many students, who in the first week of January are on break, wait until months later to submit their application. This creates two serious problems: First, some financial aid awards are offered on a first-come, first-served basis. Waiting until the last minute to submit the FAFSA will negate any opportunity that would otherwise have been available for early-bird scholarships and grants. Secondly, students who wait until the deadline to submit their FAFSA run the risk of not having all their financial aid documentation in place once the school year begins. Without financial aid approval, paying for tuition, books, and other necessities may not be possible. Misunderstanding the process as being too difficult. While the application is quite robust, on average, it takes applicants just 23 minutes to complete. The modern-day FAFSA includes step-by-step instructions and even skips unnecessary questions based on the information one enters. Being Unprepared. Some students don’t realize they need a lot of information beyond their name and address. Also required are various income records, including those of parents if a student is still a dependent. Not reading the directions. As simple as it is, many people merely misread or don’t bother to read important instructions regarding the application. Entering information that is not correct. People that input the wrong social security number or put their nickname instead of their birth name will experience delays in processing. Remember, the FAFSA is a government form, so everything must be entered as it appears on one’s birth certificate, social security card, visa, and other official documents. Failing to report parent information. The rules for dependency are different for financial aid than they are for the IRS. Even if a student lives on his or her own, pays his or her own bills, and files his or her own taxes, they may still be considered a dependent for the purposes of financial assistance. Neglecting to use the IRS import tool. Most FAFSA applicants would rank entering financial information as the most difficult step. The Department of Education has streamlined this process by allowing applicants to import their financial information into the FAFSA system directly from the IRS. Yet, for whatever reason, some students and parents fail to use this valuable feature. Forgetting to sign the FAFSA. Before the application can be official, it must be signed by the student (and, if a dependent, by his or her parents) using the four-digit pin number assigned to them by the Department of Education. Even if every single question in the document is completed correctly, the application will not be accepted without a digital signature. Fortunately, the FAFSA process has been simplified in recent years, particularly with the aforementioned income tax tool that allows applicants to import their IRS information directly into the FAFSA. There are also many helpful online resources that help guide students and parents through the procedure, including the Department of Education’s Federal Student Aid Guidelines. Not everyone will qualify for grants to pay for their college education. And while interest rates on some types of federal student loans are relatively low, the rates are on the rise. 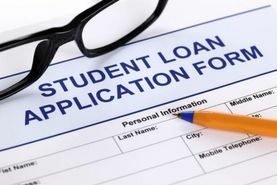 Although it’s important to apply for financial aid, it’s equally important to not be seduced by the temptation to take out the maximum loan amount each semester. 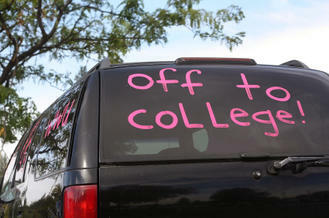 Students who take out excessive loans find themselves leaving college with crushing debt. In fact, loan debt is at an all-time high, with the average college graduate in the class of 2014 having a loan balance of $33,000. As such, it’s important for community college students to pay for what they can, when they can, out of their own pockets. For community college students, paying out-of-pocket is made easier by the fact that many students attend part-time. The smaller bills each semester make it easier for students to pay up-front for portions of their expenses, such as tuition and fees for one of three classes, or books and supplies for two classes, rather than taking out a loan to pay for everything. It’s doubly important to pay for as much as possible up front during one’s community college years so students don’t carry a large amount of debt into their final two years of schooling at a four-year institution. With expenses at universities significantly higher than those at community colleges, transfer students will likely need to take out larger loans to pay for expenses they incur during their junior and senior years of study. 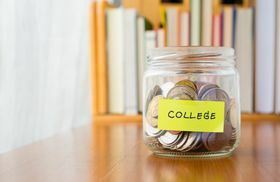 As the financial burden for a college education continues to rise, it becomes increasingly important for college-bound students to be informed about the ins and outs of obtaining financial aid. This includes institutional application procedures and deadlines, FAFSA deadlines, and financial counseling so students understand the ramifications of taking out student loans. It is also abundantly important for high school and community college officials to encourage students to apply for financial aid. With so many students struggling to pay off student loans, it’s a shame that hundreds of thousands of students each year unknowingly miss out on grants that would essentially give them a free college education. Callahan, Nicole. Seven Common FAFSA Mistakes. United States Department of Education, 2014. Web. 22 July 2014. <https://www.ed.gov/>. Don’t Fall for These Myths About Financial Aid. United States Department of Education, 2013. Web. 22 July 2014. <https://studentaid.ed.gov/sites/default/files/financial-aid-myths.pdf>. Filling Out the FAFSA. United States Department of Education, 2014. Web. 22 July 2014. <https://studentaid.ed.gov/fafsa/filling-out>. Gobel, Reyna. 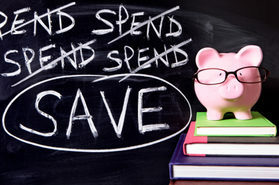 Four College Savings Tips for Community College Students. U.S. News and World Report, 25 Sep 2014. Web. 22 July 2014. 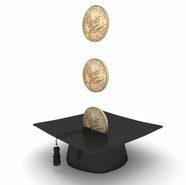 <http://www.usnews.com/education/best-colleges/paying-for-college/articles/2013/09/25/4-college-savings-tips-for-community-college-students>. Kantrowitz, Mark. 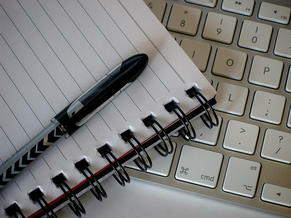 Avoiding the Most Common Financial Aid Application Errors. The Washington Post, 20 Mar 2014. Web. 22 July 2014. 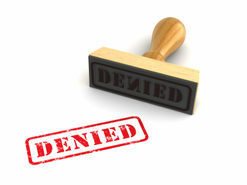 <http://www.washingtonpost.com/blogs/answer-sheet/wp/2014/03/20/avoiding-the-most-common-financial-aid-application-errors>. Sheehy, Kelsey. 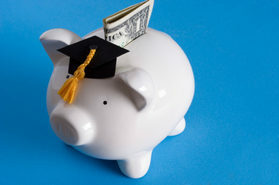 Five Costly Financial Aid Mistakes Community College Students Make. U.S. News and World Report. 24 June 2014. Web. 21 July 2014. 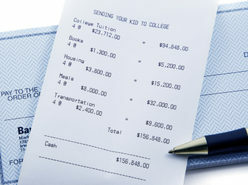 <http://www.usnews.com/education/community-colleges/paying/articles/2014/06/24/5-costly-financial-aid-mistakes-community-college-students-make>. Tuition Costs of Colleges and Universities. National Center for Education Statistics, 2014. Web. 21 July 2014. <http://nces.ed.gov/fastfacts/display.asp?id=76>. 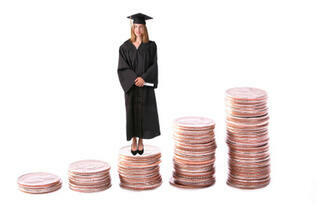 What Are the Interest Rates for Federal Student Loans? United States Department of Education, 2014. Web. 22 July 2014. 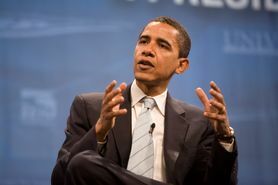 <https://studentaid.ed.gov/types/loans/interest-rates#what-are-the-interest-rates-of-federal-student-loans>.